The browser having the war can be separately downloaded from links given below as per your choice but facts says that IE8 resulted at top position in the Browser war. Visit following link1 and link2 for the result of browser wars. 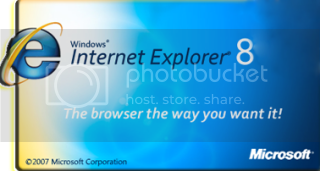 Download IE8 for Windows XP: 32-bit | 64-bit, Vista: 32-bit | 64-bit, Server 2003: 32-bit | 64-bit and Server 2008: 32-bit | 64-bit. Download Google Chrome's latest beta version. There was a similar post whre NSS labs had done a test showing IE 8 was the safest yest i read one more post that says chrome is the safest..
not able 2 find the link if i get i ll update here..